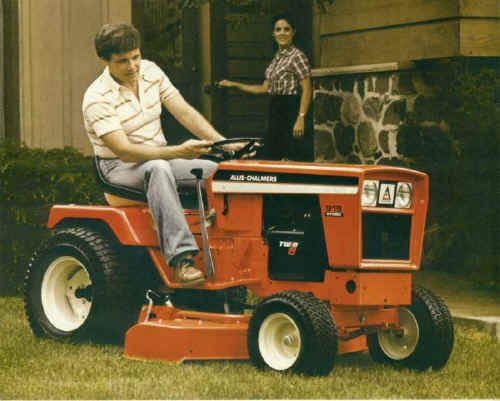 Power choices range from 12 hp to 19 hp in single-cylinder to twin-cylinder Kohler engines. All deliver quick, smooth, reliable power for all-day operation. Features include low-end torque to handle heavy loads with minimum strain on power trains, plus resistance to stalling. Gives you fast, easy starts whatever the weather. Plenty of muscle to clear wet snow, cut heavy grass, till large gardens, maneuver easily on hilly terrain. Pick your job ... pick your power! 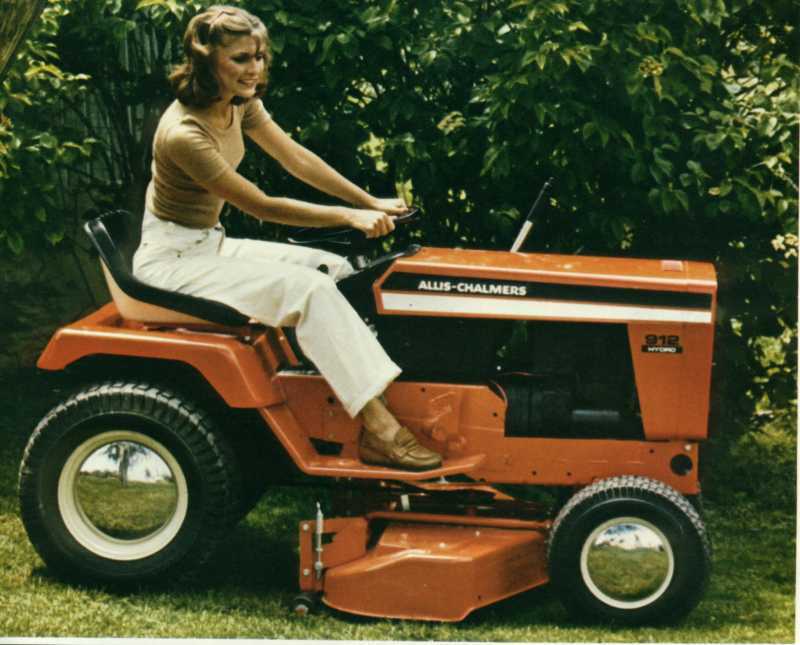 Allis-Chalmers has the unit designed for your needs. Tough Hydrostatic Transmission. You never touch a clutch! 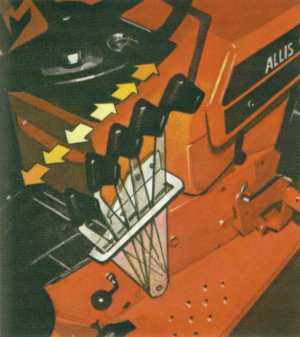 Single-lever control handles forward to reverse direction changes and ground speed. When you wish to move forward simply move the lever forward to the speed you desire. If you want to slow down just move the lever backward. 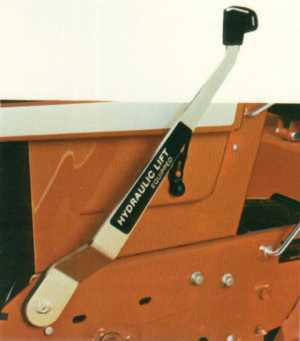 The hydrostatic transmission also acts like a brake. To travel in reverse simply move the lever rearwards past the neutral position. Hydrostatic transmission allows you to choose an infinite number of ground speeds to match any job. Lever is conveniently located to right of operator. Hydraulic Implement Lift. Saves muscle power, provides outstanding operator convenience! Standard on 916, 917 and 919 tractors, it offers infinitely variable control of attachment height at a touch -precise, efficient, time-saving! There's an electric lift option available for the 12 and 14 hp models.